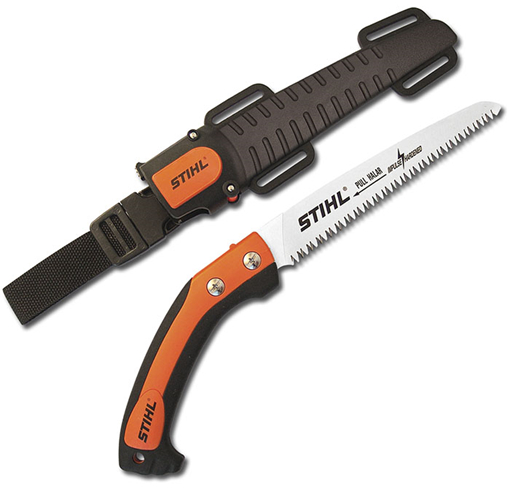 Whether you're working in the yard or the back forty, the PS 40 pruning saw is a great partner to have at hand. It features a 7" fixed blade with impulse-hardened teeth that stays sharp three to four times longer than conventional teeth and easily cuts dense or frozen branches up to 2.5" in diameter. The curvature ground blade provides the highest precision and the least amount of pinching. Its comfort grip gives you a firm grasp on the blade at every angle. The composite sheath features a thumb lock and belt loop so it is always where you need it.